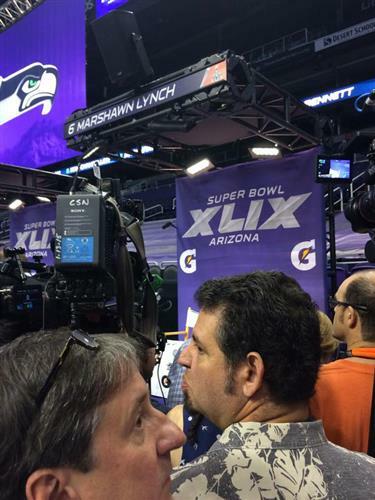 Live updates from Super Bowl Media Day in Arizona as the Seattle Seahawks and New England Patriots prepare for XLIX. 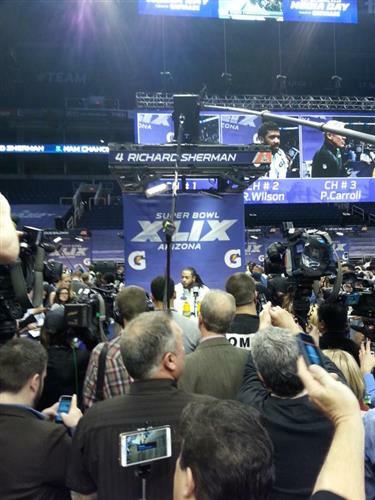 Richard Sherman battling with woman trying to call him out for Kraft-Goodell comments. 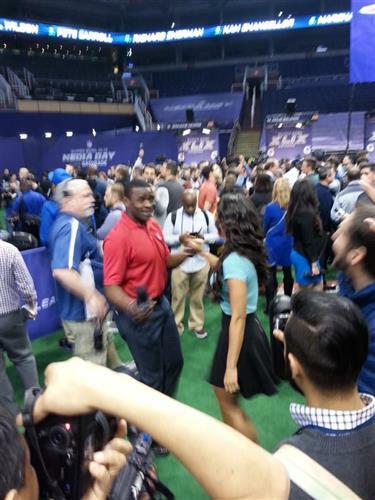 She's trying to hijack media day, he's killing her. "I change diapers. It's never been fun." -- Richard Sherman. So we're done here. 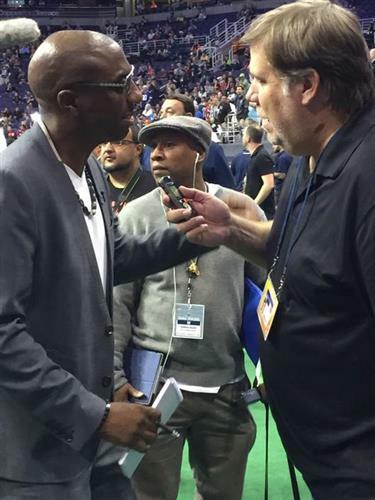 Kevin Williams was down to SEA and NE as a free agent. 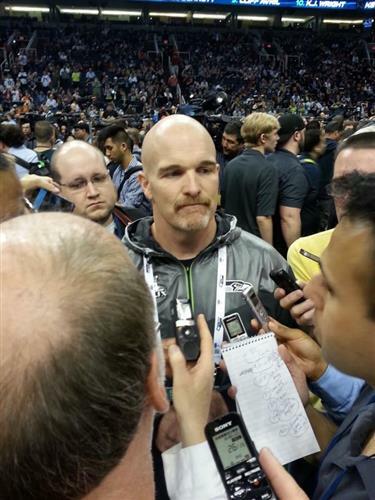 Said he picked Seahawks because they were younger. "Gives an old dog more juice." 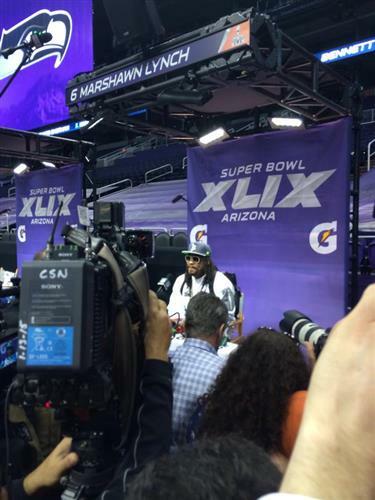 “@alexmarvez: Marshawn said, "I'm just here so I won't get fined," to 21 questions & left after 5 minutes. 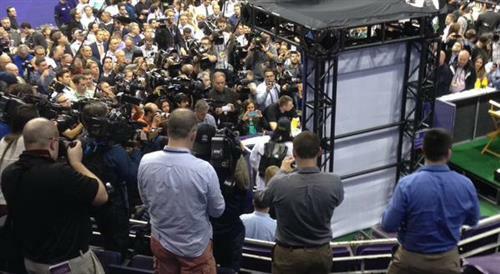 #MediaDay” 57:41 left on clock. And Lynch is out. Lasted maybe 6-7 minutes. We wore him out. Expect a fine, ironically. 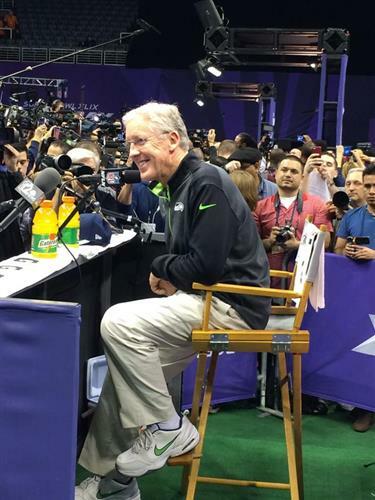 So I won't get fined vs. both teams played hard. Rasheed still winning. 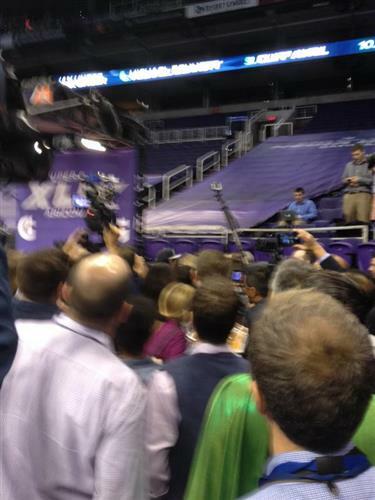 Marshawn Lynch leaves after 4 1/2 minutes, presumably having avoided his fine. Doug Baldwin takes aim at ... The SEC. 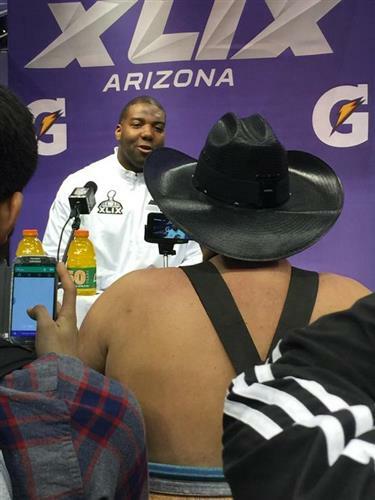 Pac-12 company man. 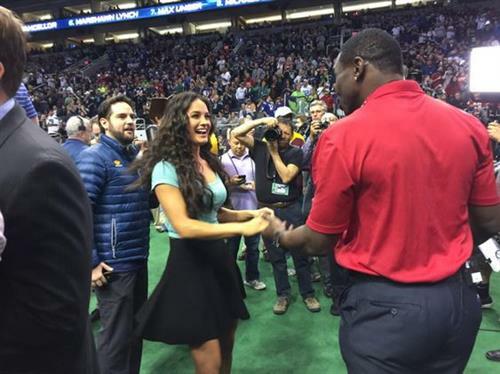 Lynch giving Deion the stiff arm too. 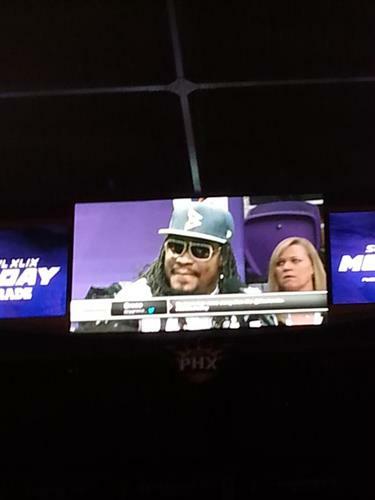 Marshawn, are you here to watch the team unwind? Would you like to visit a duck blind? Can we sing with you, do you mind? 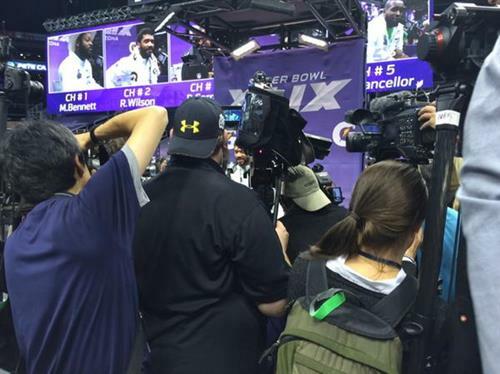 Marshawn Lynch answers every question with "I'm here so I won't get fined." 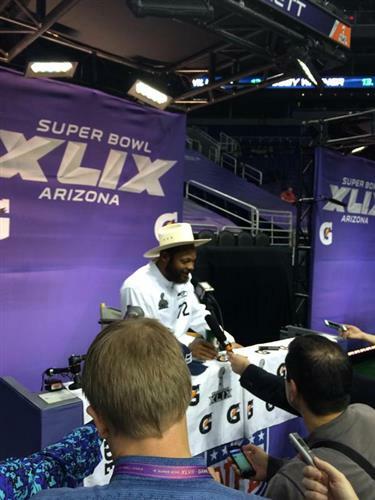 Marshawn Lynch answering every question with "I'm here so I won't get fined." 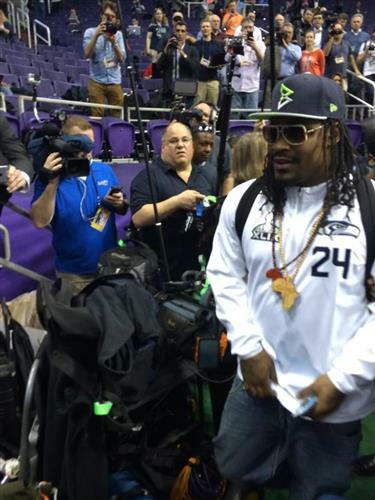 Marshawn Lynch says he's here so he won't get fined. It's halftime! 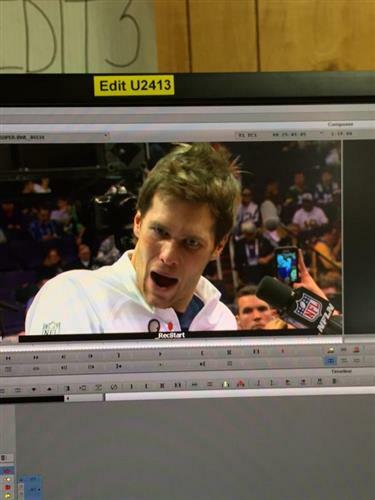 Scroll down to see the happenings during the Patriots media day session while we wait for the Seahawks to show up. They're scheduled to start at 2:15 pm. ET. 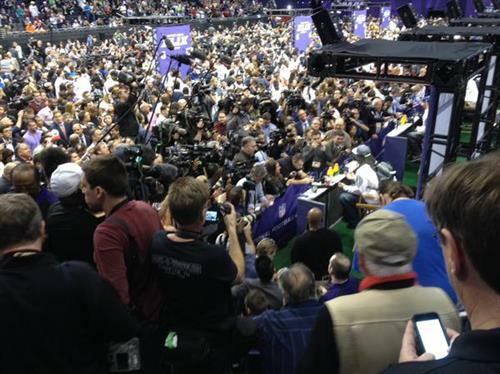 Marshawn Lynch is getting a seat at a podium today. That's going to be a long hour.